There is a photo in the Buttler family scrapbook from 1999. The World Cup trophy - which no England cricketer has held aloft in celebration - is centre stage. To the left of it is Jos, aged eight, in full whites, knitted jumper included. On the right is his brother James, seven years his senior, in a blue England one-day training jersey. Jos is all freckles, messy fringe and toothy smile. He is at a promotional event for the 1999 World Cup in England, at Taunton, home of Somerset CCC, 40 minutes from where he grew up in the village of Wedmore. While England's one-day teams have plummeted many depths over the last three decades, that tournament was the lowest they went, down into the molten lava and tectonic plates, where monsters of the deep are found. England fans have learnt to laugh about the 1999 World Cup in the way people laugh about disastrous dates. Jos Buttler, though, remembers it fondly. "I have some great memories from going to see India play Sri Lanka at Taunton in that World Cup," he says. "Sourav Ganguly and Rahul Dravid were smacking the ball everywhere, and Ganguly kept hitting it into the river. It was great. It was fantastic." Ganguly made 183 in 158 balls, Dravid 145 in 129; together they put on 318 in 44.5 overs - then the highest partnership in ODI history (now the third highest). India made 373 for 6. There were 44 fours and sixes, flying, sailing, skimming past and over the short boundaries at the County Ground. Buttler was transfixed. The white ball has always been at the forefront of Buttler's cricket. From his favourite early cricketing memories, to attracting the attention of Somerset with a series of inventive, rapid innings for school and club, to breaking the record for England's fastest ODI century twice in 18 months, to earning a huge IPL contract that allows him to play the full tournament, via an aborted Test career, to a place in the ICC's team of the tournament at the World T20 in April, Buttler is a game changer for English cricket. He is the knight in shining white armour. Andrew Strauss, the director of England cricket, is changing the culture. No longer are ODIs and T20s seen as dirty words, or as secondary to Tests: "We need to get better," said Strauss late last year, "and we won't do that by treating one-day cricket as the poor relation." In this brave new world, World Cups - 50-over and 20-over - are as important as Ashes series, and players are actively encouraged to join the IPL and the Big Bash. It has caused tremors in the English game, as country and county come to terms with a change in emphasis that has long-term consequences. Many want Test cricket to retain its primacy, others fear the flood of T20. The dam, though, has burst. At the centre of this is Buttler. A man born with natural talent, typecast as too timid for the heat of the Test battle. The typecasting is unfair. It misdiagnoses his character. The quiet man is driven, intelligent, steely. And as it turns out, he's rather happy to be the poster boy for the English white-ball revolution. These days, Wayne Geber is David Warner's personal fitness coach. They've known each other since Warner was seven, when Geber was a team-mate of Warner's brother at Eastern Suburbs in Sydney. In 1997, Geber spent a year as an overseas player with Cheddar CC in the third division of Somerset's strongest league. One evening, after training at Sharpham Road nets, Geber watched two young brothers bowling to each other. The younger kid caught his attention. His hitting was unusually crisp, unusually effortless. Geber turned to the man stood next to him and, with an eye still on this boy, said he'd one day play for England. 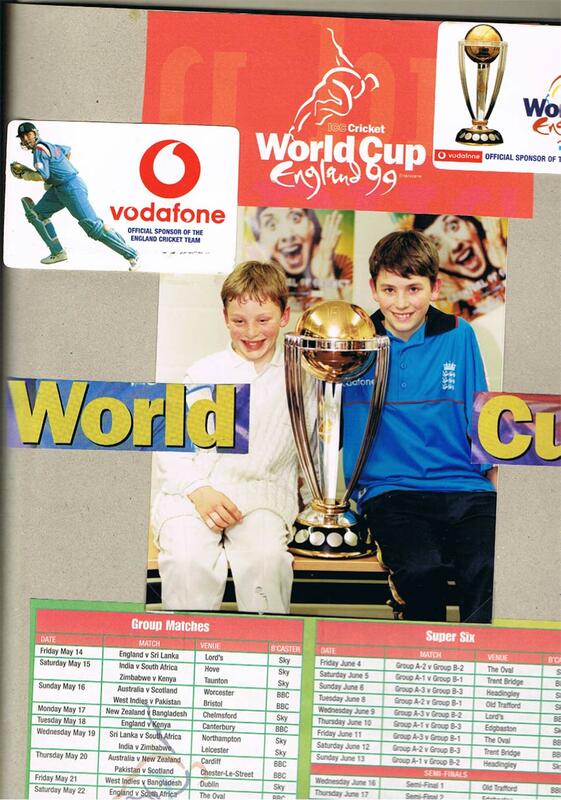 Jos Buttler was just six years old that day. This is where it all began for Buttler, on a low and slow surface at the foot of the gentle Mendip Hills. There had been cricket on the patio with his brother, where Jos tried to bowl yorkers like Waqar Younis and bat like Adam Gilchrist and Herschelle Gibbs, but it was at Cheddar that he first made an impression. Small and squat, he barely got a second glance from opposition teams. But, according to Bron Purkiss, the man Geber turned to on that day in 1997, his talent levitated him above his peer group. "His timing stood out," Purkiss says. "Even from quite a young age he could work it through mid-on and midwicket. He was promoted to the senior 2nd XI when he was just 12 or 13. I was playing with him one day when he came in at No. 9. This very small kid, walking to the crease, and the opposition looked at him and brought all the fielders in. He smacked the first ball he faced over mid-on for four." Cheddar was a family affair. Jos' brother played for them, his dad, John, came to watch, and his mum, Patricia, was coach of the Under-11s and Under-13s. "It was a bit embarrassing sometimes, with my mum telling me what to do," says Buttler, softy spoken and without a hint of the distinctively slow, elongated Somerset accent. "On the journey home she would inevitably ask why I played that silly shot, and she still does that to this day." Like AB de Villiers, Buttler was brilliant at any sport involving hand-eye coordination. In 2000, at the age of nine he was Under-13 Somerset tennis champion. He stood out on the rugby field for his handling and speed of thought, playing at scrum, full back and centre. Cricket, though, was his real love. By the time he outgrew Cheddar and joined Glastonbury - one of the county's strongest sides - aged 15, he was already part of the Somerset academy. This is when he met Darren Veness, Somerset's strength and conditioning coach. When Buttler started boarding at King's College in Taunton, Veness would pick him up from school, drive him to practice at the Somerset Academy, and then drive him back. He'd pull up at the school gates with heavy metal or gangster rap blaring out of his car and this "little dot, this tiny little lad" would hop into the passenger seat. While Buttler was making a name for himself for his sporting prowess, he was also getting another reputation: "I used to have a history of crying when I got out," says Buttler, 25, laughing. "It seemed to be a regular occurrence. It was very embarrassing. I'm not sure why it happened, and it hasn't happened for a while thankfully… "
Veness doesn't believe this was a sign of weakness. Instead, it was triggered by the frustration of not playing to his full potential. And Buttler found a place to vent it all out. In a tatty old derelict building, with frost on the bars in the winter and damp coming through the ceiling and paint falling off the walls, was The Pit. The room for strength and conditioning, a gym straight out of a montage from Rocky IV, housed Veness' heavy punchbag. When things got a bit too much for Buttler - as it would for any teenager - he would punch the frustration away. As the squat kid started to realise his potential and understand the joys of his talent, Buttler began impressing in the Somerset Academy. Everyone uses the word "crisp" to describe his batting. Everyone. Alex Barrow, who opened the innings with Buttler for King's College, and now plays for Somerset, remembers the power of Buttler's shots: "It used to make us laugh at school because you'd see a photo of him playing a cover drive, and instead of seeing a nice full face you'd see the back of the bat. He'd play a shot, his bat would be at a strange angle but the ball would be over the boundary in a second. He was just so powerful, so crisp." In April 2008, Buttler and Barrow opened the innings for King's against King's Bruton. Buttler's batting had already started to bring bigger crowds to the ground, and on that day he rewarded them with an unbeaten 227 - in a 50-over match. Together he and Barrow put on 340, a schools record for an opening partnership that caught the attention of the national media. It wasn't a bludgeon from Buttler. At least not until the last ten overs when, according to Barrow "he went berserk". Buttler hadn't yet been offered a professional contract; Barrow believes Buttler, then 17, was proving a point to the Somerset coaches who were watching. "I used to have a history of crying when I got out… it seemed to be a regular occurrence. It was very embarrassing"
"Some guys my age had played a first-class game or a List A game, and you really want a taste of that," says Buttler. "But it wasn't really point-proving. I guess the only point I wanted to prove was that at school I didn't really score the volume of runs that I potentially could have, but that was one of the innings where I got my head down and batted properly for 50 overs. I'd quite often at school get a start and try something stupid or something different." While a professional contract shortly followed, the record-breaking innings didn't mean much to Buttler. "Not being disrespectful to school cricket, but I used to think that I should score a lot of runs at school - it wasn't really where I measured myself. I remember scoring a hundred for the Somerset 2nd team, and that's where I knew I had to be scoring my runs, because that's where you could take the next step." While Buttler never scored as consistently as peers such as Joe Root, Gary Ballance and Ben Stokes, it was how he scored that so excited those who watched him. Often static at the crease, he relies on the suppleness of his hands, and when those hands were in sync with his eyes, there wasn't much that county bowlers could do to stop him. Buttler carried a box of tricks with him to the crease, using bowlers as his playthings, as conduits to conjure new shots. His penchant for devilry - the father of invention - marked him out as not just special but also flamboyant: a rather exotic ingredient in English cricket. In the Friends Provident T20 semi-final in 2010, Buttler hit 55 from 23 balls against Nottinghamshire to fire Somerset to a winning score. Forty-nine of his runs came off Stuart Broad, Ryan Sidebottom and Dirk Nannes, including four-six-four off Broad. "Buttler's innings was impressive because of the sheer audacity of his strokes against an attack of high pedigree," wrote Simon Wilde in the Sunday Times. "His speciality - and a shot that has won admiration from the likes of Paul Collingwood watching him on TV earlier in the season - is a 'fetch' that scoops an off-side full toss over the fine leg boundary. He played it twice to perfection." Powering Somerset to the T20 final in 2010 was just one part of a remarkable first full season, in which he scored 440 runs and hit four fifties in the domestic 40-over competition. The following year he once again helped take Somerset to the T20 final day and scored another four fifties in the 40-over tournament. Three years after that record-breaking opening partnership for King's he was making his T20 international debut. And in 2012 he was given his ODI cap after scoring just two first-class centuries in 27 matches since his County Championship debut in 2009. In a system that historically rewarded first-class performances - even when picking one-day sides - Buttler's white-ball batting was too good to ignore. His international reputation was building, but there had not been enough evidence to suggest he was making the most of his unique talent. 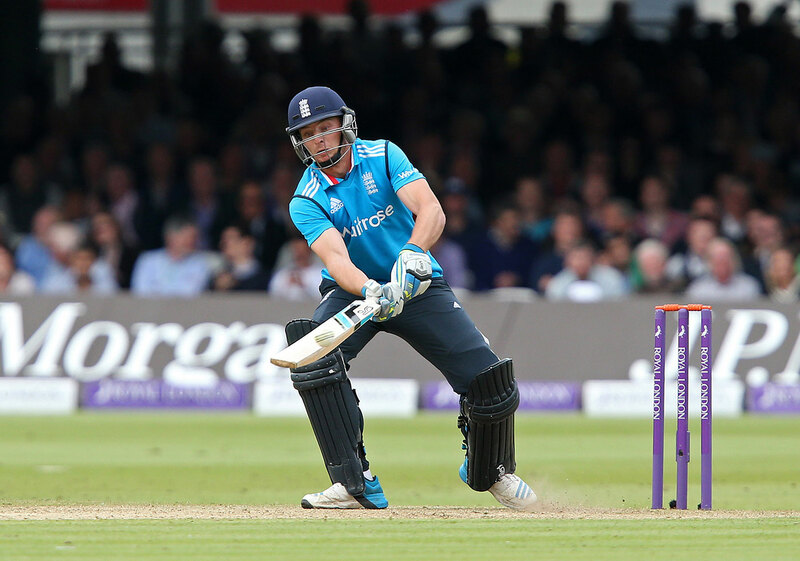 As of May 2014, Buttler had scored just two T20I fifties and no ODI hundreds. The whispers had started: Jos Buttler was too timid for international cricket. Buttler is speaking on the phone ahead of the World T20. He is back home briefly, in the midst of a schedule that was taking in the tour of South Africa, the World T20 and the IPL. It didn't allow time for a face-to-face interview. "I think it's great that now in England it's not seen as derogatory to say you want to be a one-day cricketer"
There is a hesitancy to his voice. A slight but constant tremor. It makes him sound a little nervous, a bit unsure of himself. But it soon turns out that this is just the natural rhythm of his speech. It can't help to have a voice like that, especially when people have formed an opinion that he's a bit of a soft touch. It reinforces a wrong impression. In February 2015, when Buttler was made vice-captain of England's one-day team, eyebrows were raised. He wasn't a shouter from behind the stumps, he came across as shy during media duties, and his manner was very much modest rather than bullish. Yet captain Eoin Morgan, who calls Buttler the introvert with an extrovert batting style, chose him personally as his lieutenant. He saw in him something many others already had: a natural leader. "Just because you're introverted doesn't mean you don't share your views - just not in such a loud and shouty manner," Buttler says. "I've never been afraid to share my opinion, no matter what situation. If I have something to say, I say it." This is backed up by former team-mates and coaches. Buttler isn't a chatterbox, so what he says often counts. "He's such a chilled-out kid, but don't let it fool you," says Veness. "There's so much passion there, there's so much pride in what he does, so much intensity. Don't let the laid-back, quiet voice trick you into thinking he doesn't give a toss, because the boy is driven. If he's talking about something, it matters to him." There's a playful, inventive side to his captaincy, just as there is to his batting. When King's were on the brink of defeat to Taunton School, with a batsman hitting them out of the game, Buttler, who was captain and wicketkeeper, sprinted off the pitch with Alex Barrow. When they returned, Barrow had the gloves on and Buttler brought himself on to bowl ("filthy medium-pace that usually landed at his feet," says Barrow). Buttler removed the dangerous batsman, and King's won the match. The coaches, initially livid that Buttler was taking the mickey, had to stand and admire his chutzpah. "That story's true," says Buttler, laughing. "The MS Dhoni style of captaincy! I don't think I'd do that again, though. I try and be a proactive captain - pretty laid-back but with a switch when something needs changing. I do it logically, though; trying something that you think will have a positive effect. In all of my cricket I'm not afraid to try things." It was this approach to trying new things that led him to picking up the gloves: he wanted to be involved in every aspect of every sport. He admits he didn't take the role as seriously as it demanded when he was a teenager, and Barrow remembers occasions when Buttler would half-seriously ask if any of his team-mates fancied taking the gloves for some matches. But when it became clear that it was a very useful tool to help him get into the England side, Buttler took it more seriously. He'd found Craig Kieswetter limiting his progress as a wicketkeeper at Somerset, so moved to Lancashire in 2014 because they promised him the gloves. Those ambition instincts had kicked in. February 8, 2016. Buttler wakes up at 7am in his hotel room in Centurion, South Africa. He checks Twitter on his phone. He finds the IPL handle, which is updating live from the 2016 auction in Bangalore. Buttler sees that the next batch of players up for auction is the wicketkeepers. Video clips of him batting come up as Mumbai Indians and Kolkata Knight Riders begin a bidding war. "It was a strange feeling being in the auction and being a piece of meat being bid for," he says, with a tone somewhere between awe and bafflement. Mumbai won the war, picking up their slab of meat for £385,000, or $547,950. Buttler's life had changed. So, too, possibly had English cricket. Not only did Buttler receive the blessing of the ECB and Lancashire to play a full IPL stint - missing out on first-class matches with his county and the early Test matches against Sri Lanka - but he had their encouragement. Strauss saw it as the perfect way for Buttler to improve his white-ball cricket; to become one of the very best in the world. This was the first time the ECB had fully backed one of its star players' desire to play in the IPL, less than five years after Kevin Pietersen had been seen by some as a traitor for wanting the same thing. "I think it's a really important change, and it's a bit of a shame it's taken so long, but I do understand it's very tricky with the timing of our county season," Buttler says. "To play in different environments around the world, in different changing rooms, to be on your own in a new team, to work it all out and to get out of your comfort zone is going to grow you as a person and as a cricketer." He says he probably wouldn't have gone to the IPL if he was still England's No. 1 wicketkeeper in Tests, but that just poses the next question English cricket will have to answer: "Someone like a Ben Stokes would be high on IPL teams' lists," says Buttler. 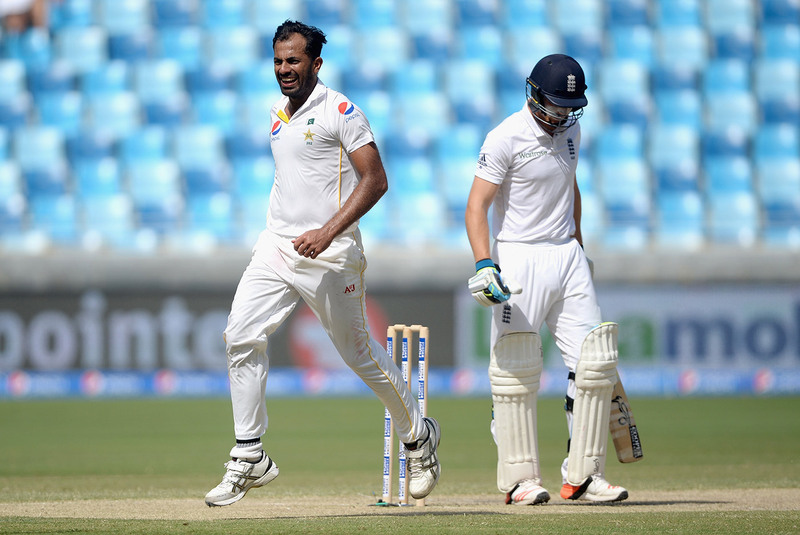 "But he's such an important player for England in all three formats. Joe Root too. How do they get everything in? But it would be fantastic for English cricket and all the individuals if there's the potential to get players into these tournaments." In the lead-up to the auction, Buttler had become hot property. In May 2014 - the month when he began to fully realise his potential - he had shattered the English record for the fastest ODI century, in 61 balls against Sri Lanka at Lord's - eight balls faster than the previous fastest, by Pietersen. A year later, against New Zealand at Edgbaston, he had taken the second spot on that list with a 66-ball hundred. In November 2015 in Dubai, he broke his own record, reaching three figures in 46 balls against Pakistan - going from 50 to 104 in 16 balls. Pouncing down the pitch to power the ball back over the bowler's head, taking one step to off to make room for a clean bludgeon over midwicket, opening up his body to allow the ball to run up his bat and down to fine leg, reverse-whipping 85mph bowling, scooping over the wicketkeeper, the tennis shot over mid-off. And plenty of conventional stuff, too: picking up length early to pull, hook, drive and cut good balls to the boundary, with the bottom-hand artistry of a fast-shooting cowboy. Here was an English batsman channelling de Villiers' inventiveness and Viv Richards' power. So full-blooded is his hitting that England's coaches wear protective gear while he practises his range hitting. His ODI strike rate is a staggering 118.75. De Villiers' is 100.18. Virat Kohli's is 89.97. Chris Gayle's is 85.11. That natural, crisp striking that Wayne Geber saw in 1997 has turned Buttler into a run-guzzling, crowd-endangering ball-batterer. Yet it is almost absurd that Buttler is English. It is there on his ESPNcricinfo profile. It is there in his accent. But it isn't there in his batting. To English fans brought up on Mike Atherton's defence and Ian Bell's cover-driving, there is something alien about Buttler's approach. It took an Indian prince - Ranjitsinhji - to bring leg-side play to the English (after much sniffiness). It took two Pakistanis - Wasim Akram and Waqar Younis - to bring reverse swing to the English (after much sniffiness). But here, remarkably, is an Englishman cheerfully sticking two fingers up at tradition and embracing the future (no sniffiness to be seen here). If the correctness of Atherton and Bell, and many others from Ken Barrington to Graham Gooch, were magic, Buttler is black magic. He is the well-mannered, impeccably polite shaman. And the home crowds, starved of 50-over success, are under his spell. There has always been an unhealthy white-ball scepticism from the English ever since the first knockout tournament was introduced in 1963. Since then writers and supporters alike have sneered at it, thought of it as too punk rock, too damn noisy, too damn colourful, with crowds that were just too much like, well, football crowds. English players who attempted to follow the inventive lead of the Sri Lankans and take one-day cricket to a new level, such as Surrey's Ali Brown, were mocked rather than embraced, and then dropped. There is little that better sums up England's age-old approach to one-day cricket than the careers of Alastair Cook and Bell. Supermen in Tests, they lost their capes in white-ball cricket, products of an English cricketing education that taught only the language of red balls. Both men have an ODI strike rate of 77, yet between them have played 253 one-day internationals - scoring a combined nine centuries (Kohli has 25 from 171, in case you were wondering). It wasn't that Cook and Bell, and countless others before them, were too stubborn to adapt. It was that the system had never provided them with the right tools to do so. Buttler, with 55 ODI sixes, has already hit 13 more than Cook and Bell combined - in 183 fewer matches. South African-born Pietersen, who thrashed England to unexpected glory in the 2010 World T20, and Irish-born Morgan, who can flip an innings on its head, had shown England fans what is possible, but even their improvisation tails off into conventionality compared to Buttler's range of hitting. Root, one of the finest batsmen in the world across formats, has a variety of flicks, scoops and ramps. But at a young age he took a look around at what the leading batsmen from other nations were doing, and added improvisation to his game through necessity; his classical batting core remains traditionally English. At Buttler's core is innovation, an ingredient regularly found in Sri Lanka, West Indies and Pakistan but rarely in England. He wasn't alone. Jason Roy, Alex Hales, James Taylor and Sam Billings were waiting in the wings. And along came a management team that dared to embrace a change in attitude, dared to tell the likes of Bell and Cook they weren't the right fit, dared to no longer censor modern batting. Morgan's captaincy is intuitively programmed into what makes white-ball cricket tick; and Paul Farbrace and Trevor Bayliss (hired by Strauss because of his success in short-form cricket) take ODIs and T20s as seriously as Tests. English cricket is throwing away the acoustic guitars and going electric. One-day cricket is being treated with respect, and England's aggressive, canny march to the World T20 final is immediate vindication. As for Test cricket, it is, for the first time in England, feeling genuine pressure from a generation of fans and players who are growing up in an age of balls arcing over boundary ropes. That the likes of Stokes and Root didn't put themselves up for the IPL auction, because of the clash with the Sri Lanka tour, means Tests remain the primary concern. But how long will this last? When Buttler was handed his Test debut, against India in Southampton in 2014, replacing the creaking Matt Prior as wicketkeeper, he had been picked on potential and his form in ODIs, rather than sustained run-scoring with the red ball. It started well, with 85 from 83 balls in his first innings - after being reprieved by the third umpire on 0 - but his batting was shorn of its fluency and freedom. There were gritty half-centuries against New Zealand in 2015 that bore hallmarks of another English wicketkeeper, Jack Russell, but they were out of character. A tumultuous time in the 2015 Ashes, and then on the tour of the UAE against Pakistan, led to him being replaced by Jonny Bairstow. 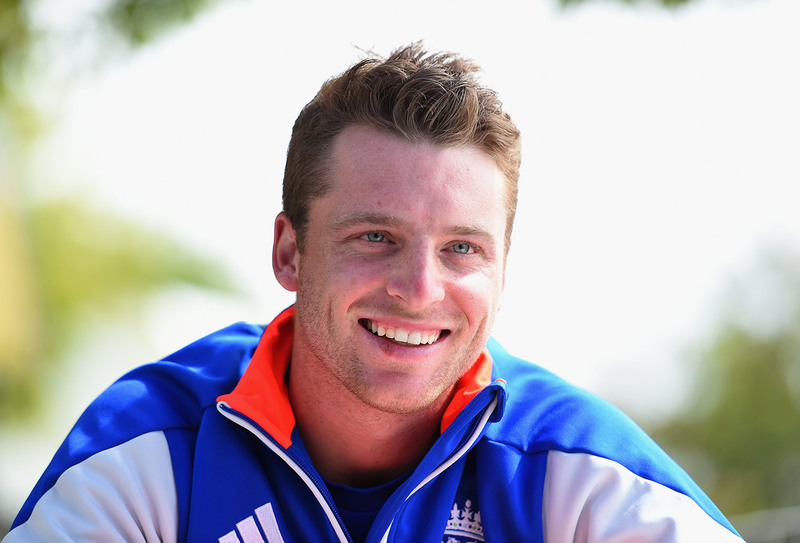 In the quest to improve, Buttler says he took on board too much advice and got confused. He thought about the opposition too much, rather than himself. He worried about what sort of batsman he had to be in Test cricket. By the end, in the UAE, he was just waiting and hoping for the axe to fall; Buttler's batting was becoming uncomfortable to watch and his forlorn walks back to the dressing room after another cheap dismissal were looking more and more like Linus dragging his blanket behind him in the Peanuts comic strip. "When you do get dropped," Buttler says, "it's just nice to be able to breathe again and get back to basics and start again." The perception that one has to bat differently in Tests to limited-overs held Buttler back, as it had held Root back at the start of his career. Getting out playing attacking shots in Test cricket still brings a chorus of moans from parts of the stands and the media. Former England spinner Ashley Giles, who is Buttler's coach at Lancashire, isn't one of those moaners: "If anything, Jos should err more to being attacking. He should concentrate on doing what he does well and not on what people think a Test batsman should play like. Jos should play his way." In his first three Test innings, against India, Buttler hit 28 fours and three sixes. In the 12 innings against Australia and Pakistan he hit just 21 fours and a solitary six. He wasn't playing his way. 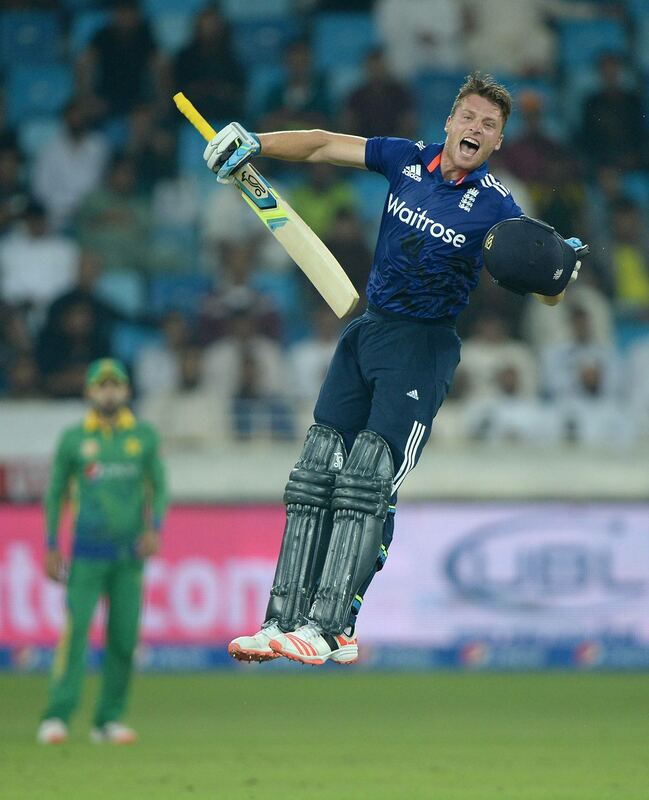 After removing the fog from his mind, Buttler knows he should have played his natural game. "You have to play the occasion, of course, but I think Test cricket is changing," he says. "It's probably naïve to say it isn't. The scoring rates are a lot higher. Coming down lower in the order as I would is similar to where Ben Stokes comes in, and he takes on the opposition. That's probably something I can take into my game in Tests." Buttler grew up in an era of T20. He was 12 when the Twenty20 Cup was first launched in England, so six-hitting is the norm for his generation. The need to innovate has also changed the way young players practise. 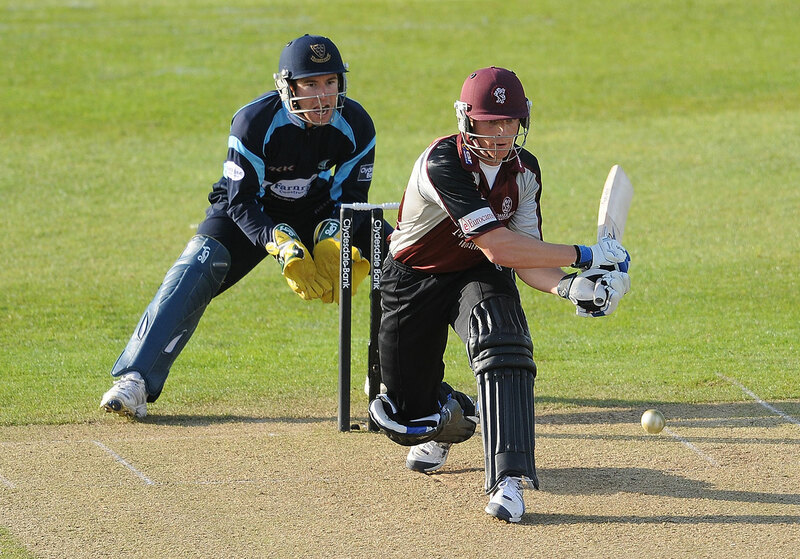 Carl Gazzard, a former Somerset wicketkeeper and often Buttler's captain in the county 2nd XI, says the main work of batsmen in training used to be working on technique. Now it is on hitting it out of the park. Now it is on drilling it out of the park. "There's no fluke that Jos can ramp the ball over his head, because he practised it from an early age," Gazzard says. "Practice has become more white-ball-orientated." Buttler is a product of this shift in emphasis in England, and perhaps its first real success story. He certainly didn't kick off the renaissance - the shoots were planted back in 2003 - but, coupled with Strauss' reimagining of English priorities, he is very much at its forefront, leading the conversion. Bayliss has told Buttler he will judge him on his weight of runs irrespective of the format. Breaking back into the Test team no longer means having to score heavily in the County Championship. Buttler, the shy boy of few words, isn't shy when it comes to embracing this change, suggesting that it won't be long before counties sign players on separate one-day and four-day contracts (a couple of weeks after the interview, reports emerge that one Pakistan player turned down the offer of a county contract because he wanted to play only T20, and not in the County Championship or the 50-over tournament). "I think what's really exciting is that in the next five years there's going to be some huge changes in cricket, with a new cycle of exciting young cricketers and a new generation of fans as well. It'll be interesting to see if they're more interested in the one-day stuff or if Test cricket still retains its primacy." Like Morgan, Buttler is an advocate of a Big Bash-style tournament in England. Franchises. Big grounds. Top overseas players. All in a six-week block. Buttler, who has clearly thought deeply about this, believes it is what the majority of English players - both international and county - want: "I don't think our [domestic] T20 competition is great," he says. "Everyone watches the Big Bash and the IPL and wants to be a part of that. To experience something on a domestic level in England that is just like international cricket - every county player would love that." While he is sympathetic to county members, and those who see first-class cricket as the pinnacle, Buttler's measured words are rather brave for an English cricketer. It is still considered sacrilegious for one to say anything other than that Test cricket is their No. 1 priority. After all, it's not so long since Graeme Swann called for 50-over cricket to be deleted from the schedule. Giles, England's former ODI coach, sees both sides of the divide. "I believe there is a real danger [of young players seeing white-ball cricket as more important than red-ball cricket]. But is it a fight that we can win? We must protect Test cricket but also move with the times. Society and young people want everything much faster and at their fingertips. The T20 model suits today's society and we must keep up with the rest of the world." Buttler still cares deeply about his Test career. Of course he does. He has previously stated that his main ambition is to be a success at Test level, and reiterates that: "I still think Test cricket is amazing and that's really what I would love to do." But he also has other goals, other ambitions. He wants to win World Cups - this time holding the 50-over trophy for real, rather than posing with it as he did in 1999 - and he wants success at the IPL. "I loved my experience in the Test team. But I've learned not to get caught up in what I want to do, and enjoy the challenges I have ahead. If I could one day maybe win back that Test place, that would be great. But I've got lots of things to concentrate on at the minute and enjoy as well." This English summer, large crowds will flock to Test matches. The games will receive good coverage in newspapers and online, television will show every minute of every day and radio will broadcast all of the action. In England, at least, the oldest form of the game is in good health. But the air is thickening with change, and Buttler - through his own outrageous hitting, his own alien talent - is the face of this shift, where the white ball may come to mean as much as the red ball. It could all be a fad, a brief flirtation with a form of the game that has always struggled to be taken seriously in England. 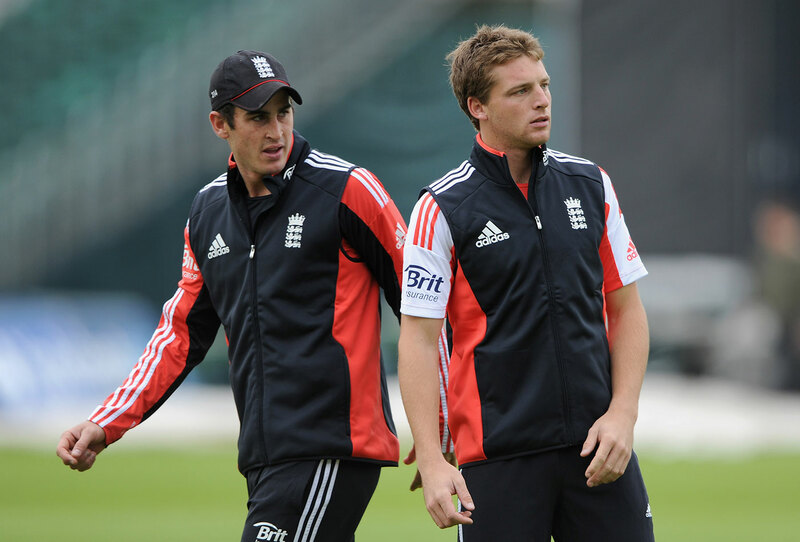 Or this could finally be the real deal, and Buttler could represent the future direction of English cricket. We are about to find out.